I was by her side almost the entire time. It is also true that her death was that of a life long alcoholic. 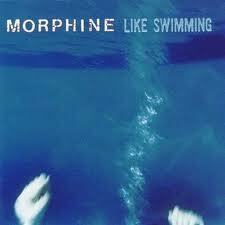 I was not on Morphine. I was present and bearing witness. The pain is unending and the memories are haunting. My mother died Peacefully and I had a hand in that. My heart continues to break. My mother died the death of a life long alcoholic. I promised to be brutally honest in this, and I have been and I will continue to be. This truth will take some time to digest. Thank you all for your support and your thoughts and prayers. I would not be standing without it. ~ by Step On a Crack on December 4, 2011. Kristine, I can feel that. I mean FEEL that Love. thank you so very much. Love Jen Kiss everyone for me…. I will keep reading as long as you keep writing, Dear Jen. And I will keep praying . . .
I’m praying for you, too. Only those who have used substances to numb can really know what you’re saying when you say, “I was not on morphine.” It is a painful choice you’ve made. A choice to stay conscious, a choice to feel, a choice to die by degrees, yet still feel the pain. I’m so sorry for all of this. It’s not over, it may get worse, but at the same time I can confidently say, it will get better sometime. I know that because I trust God to take care of you and to bring the healing in His time. He has not brought you this far to let you slip away. Feeling for you, thinking of you, wishing you the courage to take each tiny step. Your mother died an alcoholic and you are not on morphine. These concepts together show how much she taught you, how much you’ve learned from life, and the inner strength she inadvertently gave you. Our past does not define us. How we deal with it in the now does. I have learned so much from watching my mother live in the bottle. I climbed out said bottle and am trying my level best to Deal. One Day at A Time. Yes Sir. You are an amazing and strong woman Jen. You are also a caring woman who has given much to many. I feel so glad I have met you here, and been able to be there with you through words. Be at piece, sweet one. oops, be at peace, not piece, sorry.